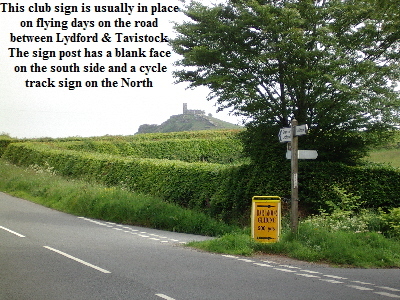 The club is located 3.5 miles north of Tavistock. NB using the post code will bring you to the road on the west side of the airfield. 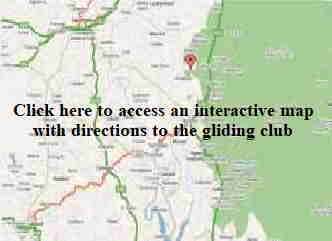 The road to the gliding club is the furthest south of the 2 “Y” shaped junctions - see picture below. Once at the club, go through the 1st gate and turn immediate right into the Car Park. 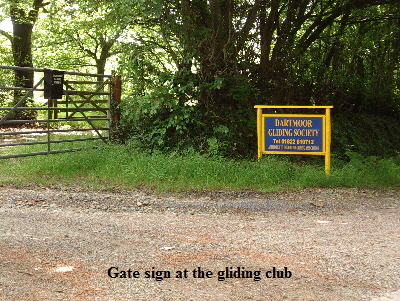 From the car park walk back to the main gate and turn right into the gliding club site. Continue passed the hangar and clubhouse and wait at the pickup point as shown in the picture opposite. A club member will come and collect you. 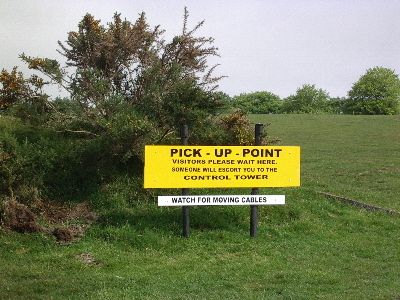 It is important for your safety that you do not proceed beyond the sign unless accompanied by a club member. Why not bring a little food and drink for a picnic while you are on the airfield - the views are truly breathtaking. Extra clothing is recommended as the weather on Dartmoor can be unpredictable even in the Summer. Please note that dogs are not permitted on the airfield for safety reasons.